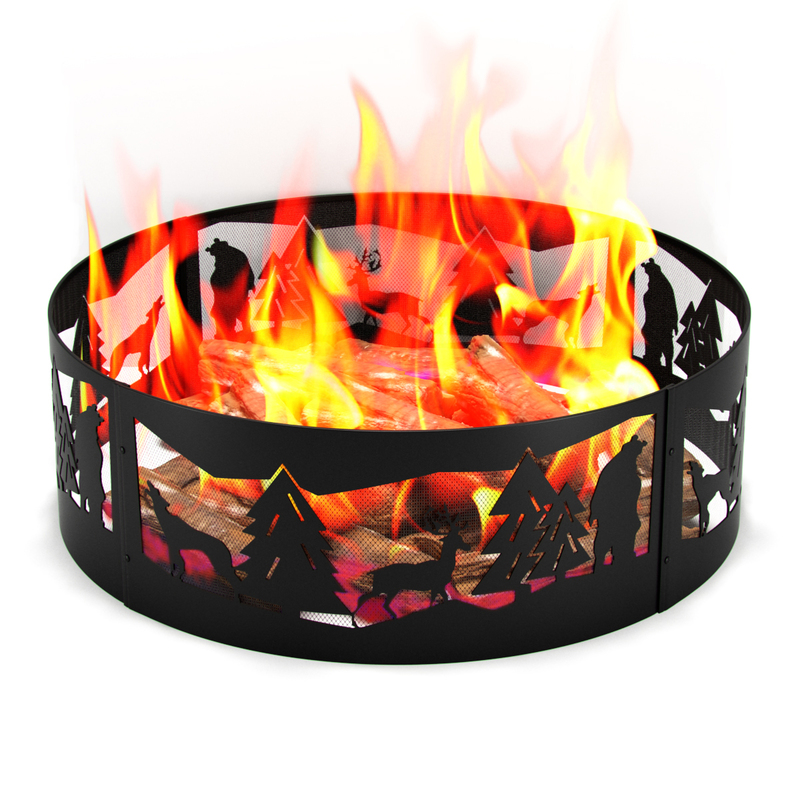 From the backyard to campsites or on the beach, this Regal Flame campfire fire ring offers exceptional style in a completely portable design. 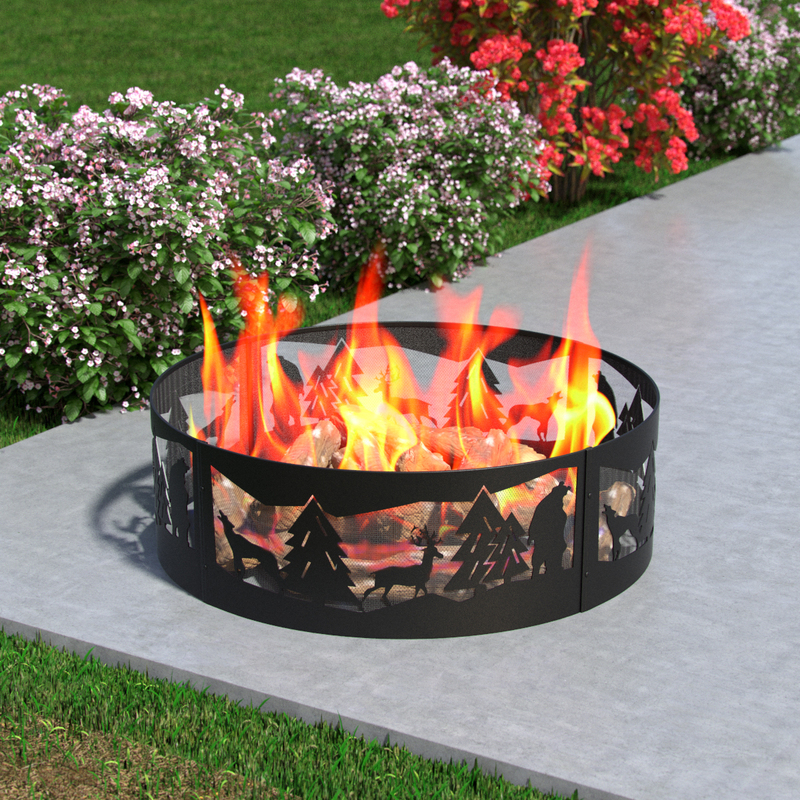 Place the moveable campfire ring anywhere you like—on the ground or over an established fire pit. 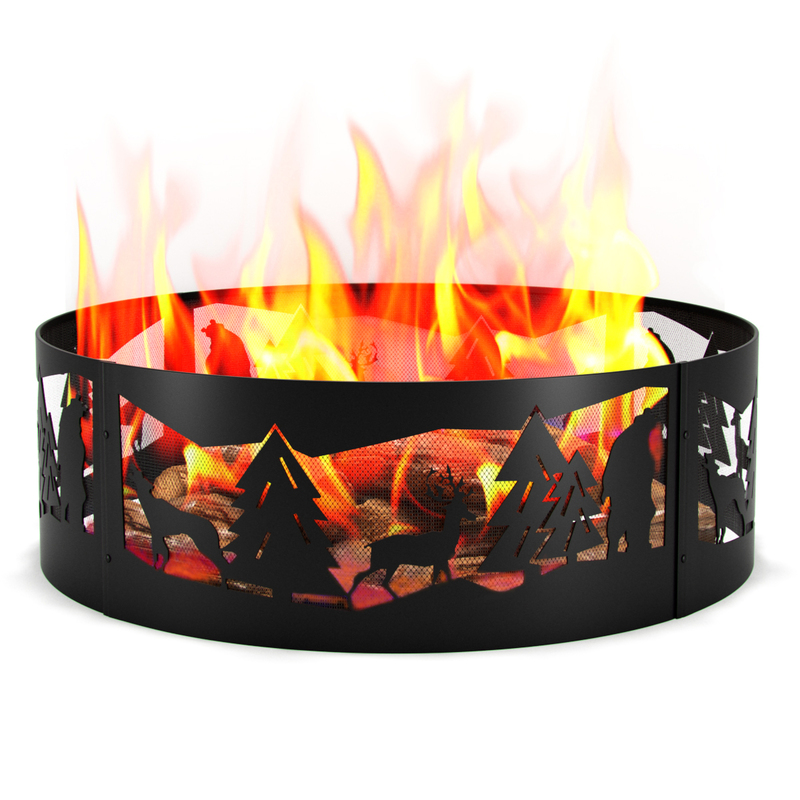 Measuring 36 inches in diameter and is 12 inches tall, the campfire ring securely contains fires, both small and large—perfect for adding to the ambiance of any outdoor gathering. So what are you waiting for? Bring on the flames that make masterpieces out of marshmallows. Constructed of durable steel metal with a classic matte-black finish, the campfire ring offers rustic charm while effortlessly complementing existing outdoor furniture and surrounding décor. The ring’s artistic design features silhouettes of black stallions galloping over rugged terrain, their mains and tails whipping in the wind. The cut-out creation looks especially intriguing in the dark, when flickering flames from a fire burning inside serves as the dramatic backdrop. 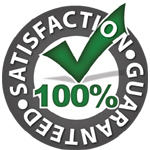 INCLUDES: A full 36 inch fire ring grate fire pit. 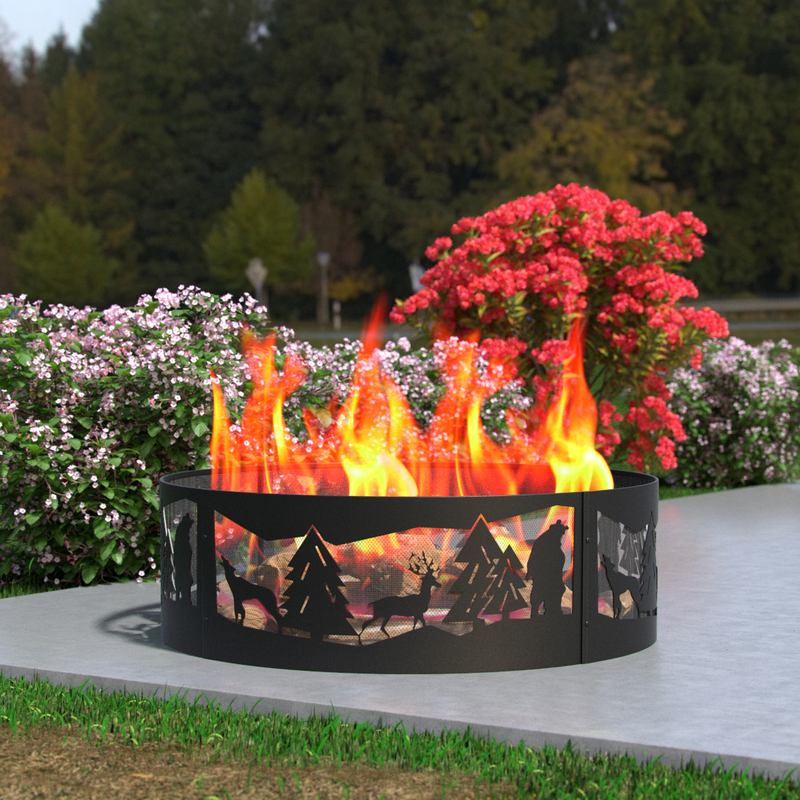 With this setup your loved ones can safely enjoy a real flame fire anywhere. This fire ring came packaged really nicely and was super easy to assemble. This fire ring did the trick!! Great price. I've had the fire ring outside for 2 weeks now. It has rained everyday for 2 weeks with thunderstorms. So far absolutely no rust! I paint mine with heat resistant black paint to prolong the life, but probably not necessary, beautiful ring. 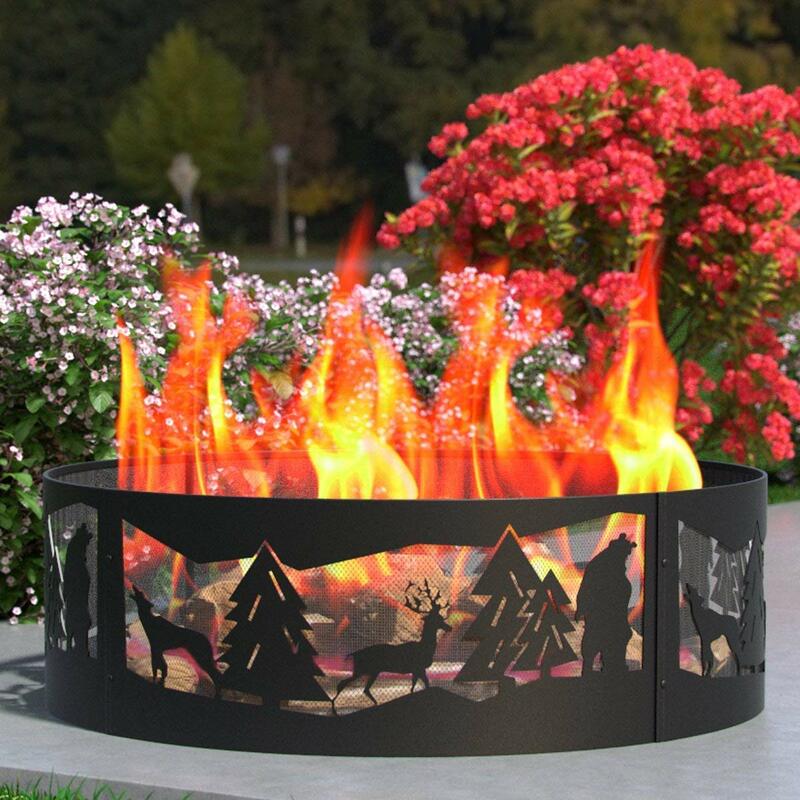 Great fire pit for a great price. It took me 5 minutes to put it together and I bought retaining wall blocks at Lowes to go around it.